Obituary for Patricia Ann Schuele | Bayonne Memorial Home, Inc.
Pat Schuele, a lifelong resident of Bayonne, died peacefully at Care One Nursing Home in Wall, NJ on November 16 after a long illness. She was surrounded by her family. She is the daughter of the late Patrick and Anne Boyle (Park). Beloved sister of Ann Murray and her late husband, Robert, and Marilyn Healy and her husband, William. Pat grew up in downtown Bayonne and was a graduate of St. Andrew’s Grammar School and Holy Family Academy. She worked for The Fiduciary Trust Company, as a legal assistant for the Bobbie Sue Ladies Division of Marcade Group, the General Counsel of Block Drug and was the Executive Assistant to the President of Grant Eisenhofer in New York. She was the owner of E.J.’s Tap Room in Bayonne for more than a decade. 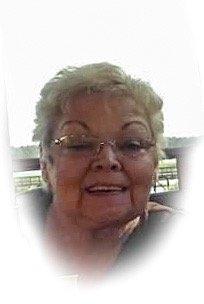 Pat was the daughter of Irish immigrants and proudly celebrated her Irish heritage throughout her life. She is survived by her children Kevin Boyle and his wife Kerry (Fienan), Richard Schuele and his wife Peg (Prisk), Rudolph Schuele and his wife Donna (Murphy), and Debra Cardena and her husband Greg. Loving grandmother to Kaitlyn and Leigh Ann Boyle, Ashley Schuele, Gregg, Brett and Marissa Cardena, William, Jessica and Lindsay Schuele, and Eric and Josh Stromblad. Aunt to many adoring nieces and nephews. Visitation will be held on Tuesday from 3:00 to 8:00PM at the Bayonne Memorial Home 854 Avenue C, Bayonne. A Mass of Christian Burial will be offered on Wednesday at 10:00AM at St. Andrew the Apostle Church, Bayonne. Interment will be at Holy Cross Cemetery, North Arlington, NJ. The family requests that in lieu of flowers donations be made in Pat’s memory to St. Jude Children’s Research Hospital, where she was a longtime supporter.